Ever since I came back to climbing, from memory there are 2 mountains I had been avoiding. Mt. Tapulao- located in Zambales, the summit of this mountain is near a mine. And trail created was for mining trucks. The trail is full of stones and pebbles, which I am not fond of. Mt. Arayat - the sole mountain in Pampanga. The place is infamously known for fees from swindlers. And this mountain is not properly regulated. But a few years back, Arayat slowly earned the right to be called a good hiking destination. The DENR took control and now has a base in the foot of the mountain. Having said so, a few months ago I finally took the "courage" to give it a try. 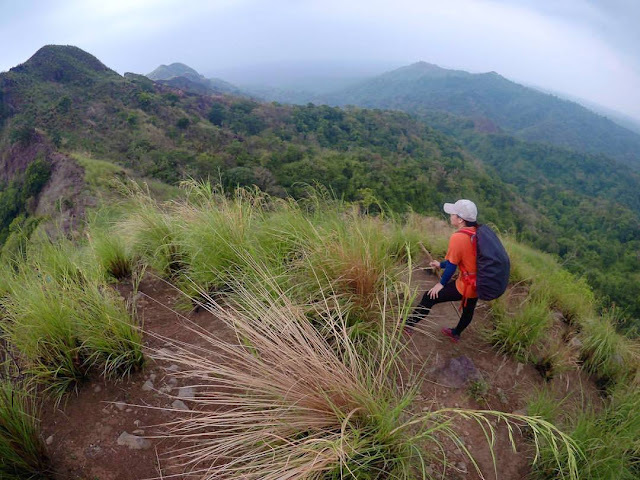 The mountain can actually be put as a combination of Tarak ridge and Mount Makiling as the trail resembles the similarity of both. The trail is very dry (not sure if its because it's summer) or else the trail is more like Mt. Makiling. 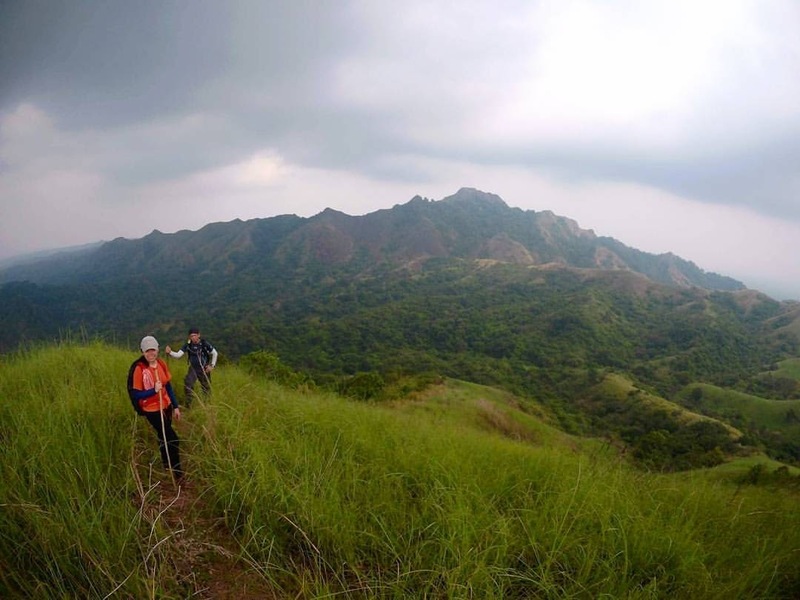 The trail is very straight forward, if not for the DENR requirement, you may forgo hiring the guide. Main points for interest are North and South peak and the White Rock plateu. It took us around 9-10 hours to complete the traverse on a moderate pace. I was actually amazed that I loved the place. The trail was totally covered that you dont need much of sun protection except near the exit part of the trail to the other side. Kuya Guide naman eh, bakit hindi sentro? Mt Arayat as seen from our jeepney ride going home. Batulao on my mind. Batulao on a different perspective. This post is 1 year in the making. Sorry for the late post, been busy the past year. 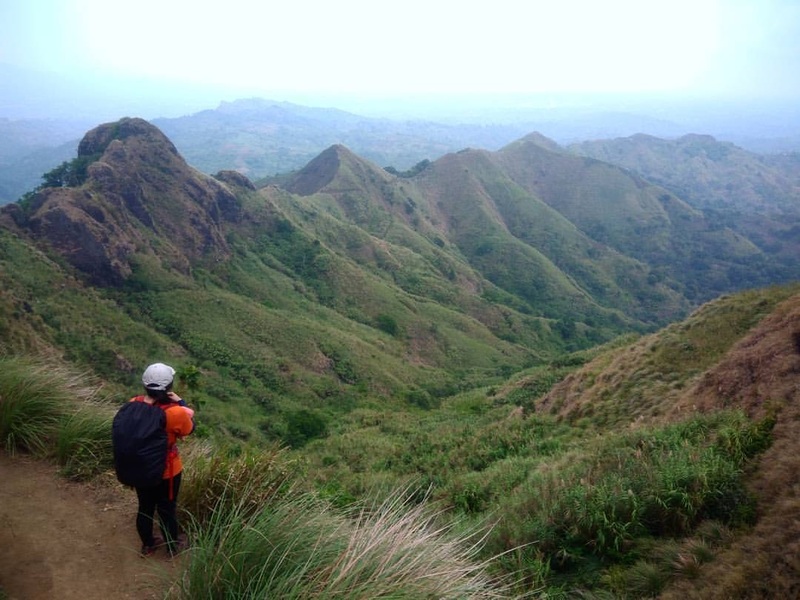 Batulao has been one of my favorite mountains, specially if I would bring friend who are new into the hiking community. But the recent fad of the outdoors in the Philippines - particulary hiking has brought Batulao at the forefront of the tour groups. The mountain being close to Manila and one of those "easy" hikes made the mountain vulnerable to overcrowding. And with too much crowd brings uncontrollable fees which actually does not make sense. The trail to Batulao passes by several private land, and almost all those private owner charge a small fee for this. Anyway, I narrated this issue since this is the reason I had not been to Batulao for a while. 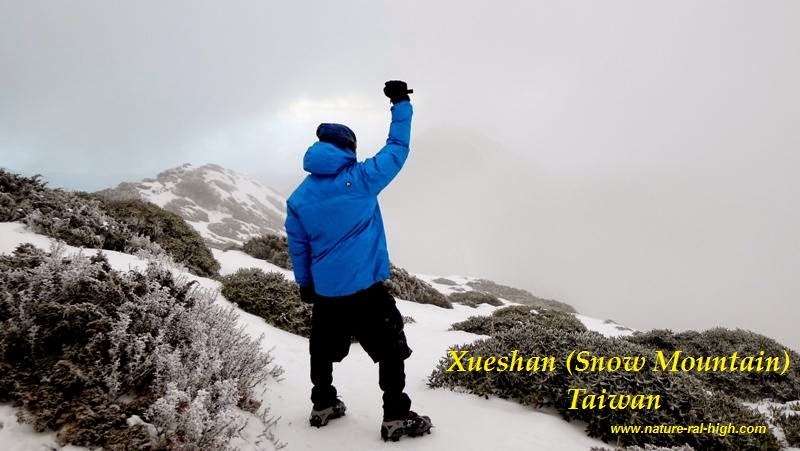 Not until I learned that there was an alternative trail to scale the mountain, albeit more difficult and you will need a guide to traverse the trail. The trail starts in Brgy San Jose, and ends in Brgy Tuy Nasugbu Batangas. The trail is known as San Jose - Toong Traverse. Unlike the regular Batulao trail which starts east side of the mountain, San Jose trail begins from the south-west part. This trail will then meet with Camp 10(?) in the mountain (not sure on this but this is the place where there are rest huts in the New Trail). From here you may decide if you still want to go to the summit as the entry point to Toong trail can also be found in Camp 10. The Toong trail is exactly on the opposite side of San Jose which is on the North West side of the mountain. The trail is pretty much straight forward. The following are the main areas from memory. We completed our trek already without daylight, I think around 7pm. It rained after Toong peak, this is the reason I have no more pictures after this spot. 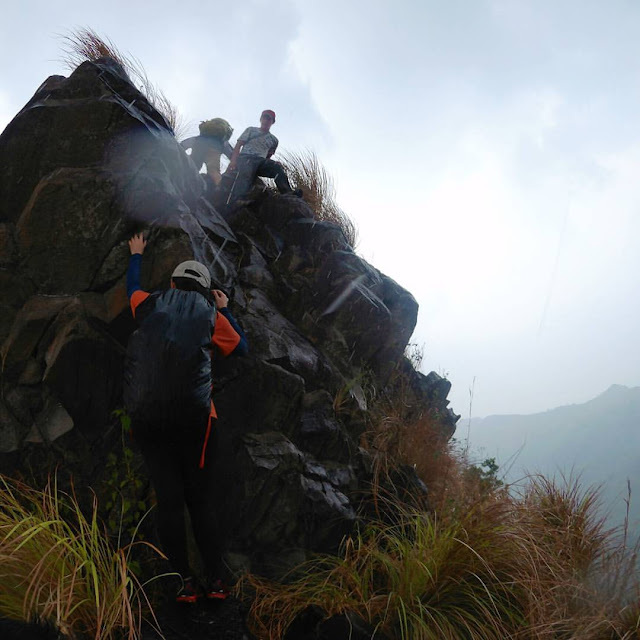 There is a dangerous climb in Toong peak that is very similar to Kiss the Wall of Mt. Guiting-guiting. So how is the hike? I have to admit that I underestimated this hike. It is difficult since the trail is open, you will be absorbing all the heat. Plus the hike is very long, my friend recorded around 18-20 KM distance. Start of hike with the gang. Both sides are dead fall. And Yes it rained which make it more difficult. 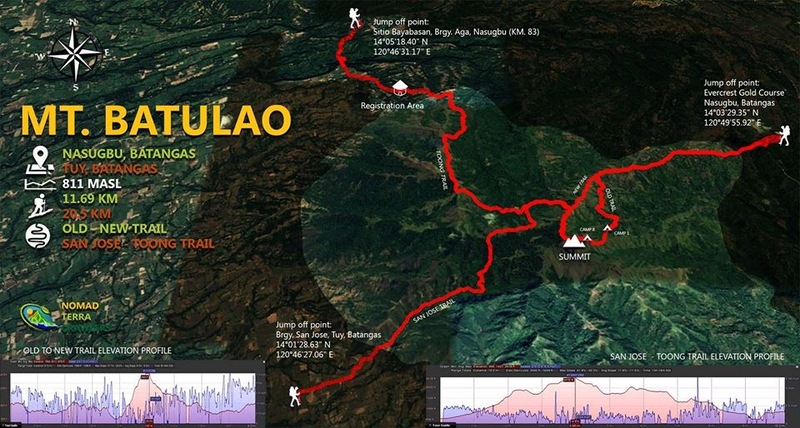 Batulao Trails Courtesy of Nomad Tera Crawlers. Notice how long the San Jose - Toong Trail is.